Vincent Cambier wrote his doctoral thesis at the Université Catholique de Louvain (UCL) between 1996 and 2000. It was at this time that he developed the first artificial media. 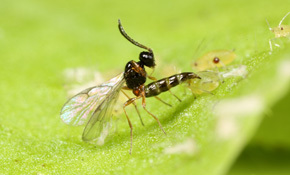 With funding from the Directorate General for Research, Technology and Energy (DGTRE) of the Ministry of the Walloon Region, Professor Thierry Hance, Vincent Cambier and their team developed an innovative parasitoid production solution using biopolymer capsules rather than aphids. 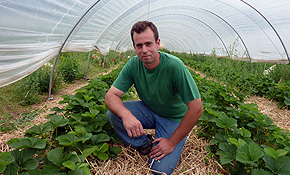 Encouraging results prompted the project promotors to form a spin-off. 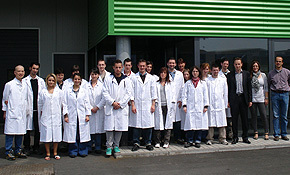 VIRIDAXIS SA was formed on July 26, 2004 and moved into the Heracles Business Park in Charleroi. VIRIDAXIS SA started to relocate to its new facility in Gosselies close to Brussels South Charleroi Airport at the end of 2011. 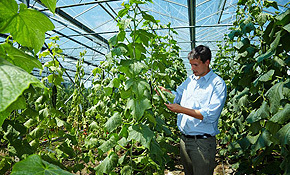 The production process has been optimized at a high pace and VIRIDAXIS now produces many millions of insects for natural aphid control every year. The focus on Research and Development is constantly high. Through ongoing and new collaborations with researchers and scientists in many countries, VIRIDAXIS is part of an international network of experts. The rate at which new and innovative products and concepts are developed and commercialized is accelerating every year.